It is not always easy to see your way forward in tough situations. Many of us worry about becoming emotional or that our views, opinions and strategies will not be received well. The best way to get through this is to rehearse. Think about what you want to say and how you want a meeting or confrontation to proceed – and, then practice. You really do need to fake it until you make it. No, really. I mean that you should practice out loud. Get your feelings out. Consider taping yourself or even videoing your practice. Listen to how you sound and revise where necessary. Did you sound too cautious or timid? Were you asking questions (voice up at the end of the phrase) or making statements? Practice until you sound confident. It may even help to role play with friend, family member or confidant. Get all of the bad mojo and feelings out before the real meeting. Paraphrasing Shakespeare: “All the world’s a stage and we are merely players”. Good performances require rehearsals. Practice saying something until it feels right. There is a scientific basis for this process. 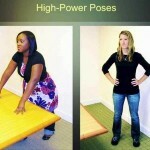 In Power Posing: Brief Nonverbal Displays Affect Neuroendocrine Levels and Risk Tolerance, Harvard Business School’s Amy Cuddy shows that simply holding one’s body in expansive, “high-power” poses for as little as two minutes stimulates higher levels of testosterone – the hormone linked to power and dominance in the animal and human worlds — and lower levels of cortisol – the “stress” hormone that can, over time, cause impaired immune functioning, hypertension, and memory loss. So hold your head up high. Square your shoulders. 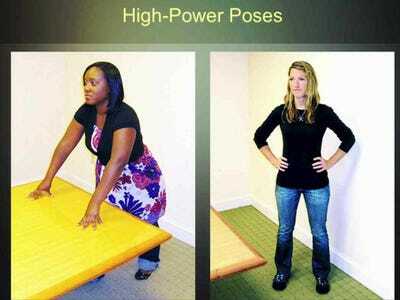 Rehearse your power position and move forward.